Augsburg summer signing Marcel Heller (l.) made a name for himself at Darmstadt. 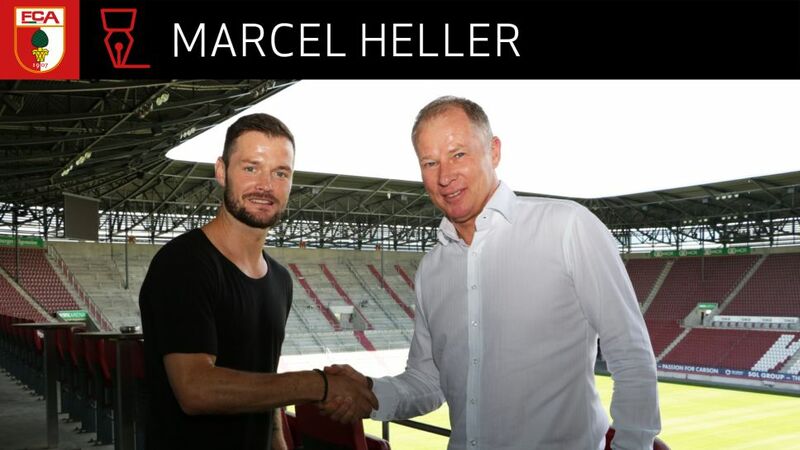 Augsburg have secured the services of winger Marcel Heller on a two-year contract from relegated Darmstadt. "It was my objective to play Bundesliga football in the upcoming season," 31-year-old Heller explained. "So I'm delighted about the challenge at Augsburg. The talks were great and the task really appeals to me." After debuting in the Bundesliga for Eintracht Frankfurt in Janaury 2007, Heller made his way to Darmstadt via stints at Duisburg, Dresden and Aachen. He was an integral part of the Darmstadt side that gained back-to-back promotions from the third tier to the Bundesliga in 2015, and joins Augsburg having registered 11 goals and as many assists in 99 appearances in the German top flight. "He made a telling contribution to Darmstadt's development with his goals and assists, and played nearly every game," said Augsburg general manager Stefan Reuter. "We're delighted that we've been able to sign one of the fastest players in the Bundesliga." Augsburg, who finished 13th in the Bundesliga in 2016/17, begin their preparations for the new season on 3 July. The fixture list for the 2017/18 campaign will be released on 29 June (12:00CEST).